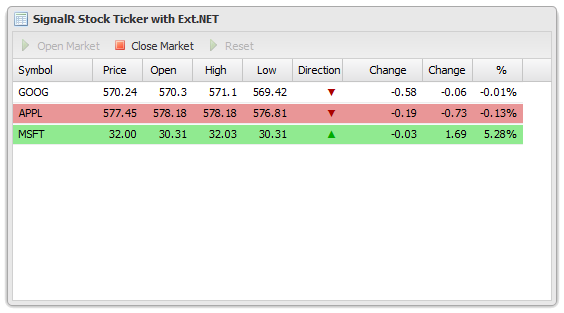 In the video there is an example there of a stock ticker built with SignalR. As that project is on GitHub, I forked it to use the same data but update an Ext.NET GridPanel instead. Look at the forked project on GitHub. 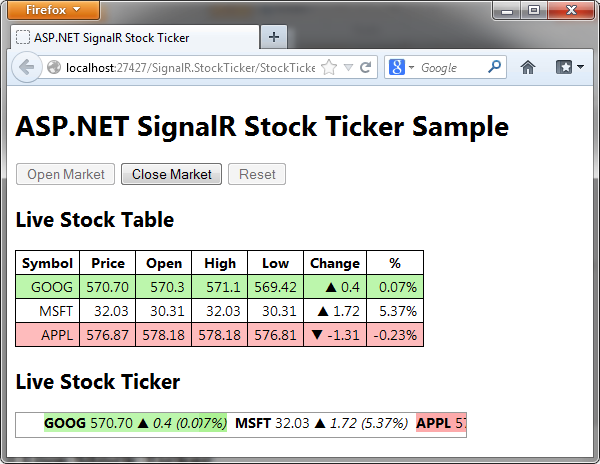 Currently, the SignalR example in Ext.NET Examples Explorer has been upgraded to v2 in SVN. Thanks for that. I will look to update my example at some point, too!